Demand in both industries is high, as governments seek control over their resources and as emerging markets continue to develop. Supply, however, is increasingly constrained as development projects are pushed into more remote, unfamiliar territory (PwC, Mine 2011 – The game has changed) In order to meet demand, there is little room for error. By proactively managing project risk, energy and mining companies can stay ahead of unforeseen risks that can impact critical capital projects, impede production and harm profitability. With project risk management as a core operating principal, energy and mining companies reduce unidentified losses, improve accountability for risk, drive efficiency and help position the company as a safe bet for shareholders, community members and the capital markets. By offering the most complete risk management software on the market, Active Risk Manager (ARM) is used by leading enterprises including Rio Tinto, Fortescue Metals Group, OMV, RWE, ALSTOM, Saudi Aramco, Westinghouse, Horizon Nuclear Power, and many others. With ARM, these companies have gained a comprehensive, real time view of their risks and opportunities across their project portfolio that is unachievable in any other single software solution. 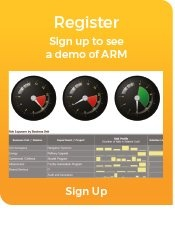 ARM integrates seamlessly with other tools, including Primavera and Microsoft Project, providing an efficient way for Project Professionals, Risk Professionals and Executives to manage risk. To access valuable Energy and Mining industry reports, webcasts and published papers, visit our Resources page. "Active Risk Manager proved to be the pre-eminent solution in the field."